The calendar says Nov. 20, but you wouldn’t know it by looking outside. Fortunately, the nice day is allowing us to prepare for the upcoming season of not-so-nice days. The cows mostly like the winter. 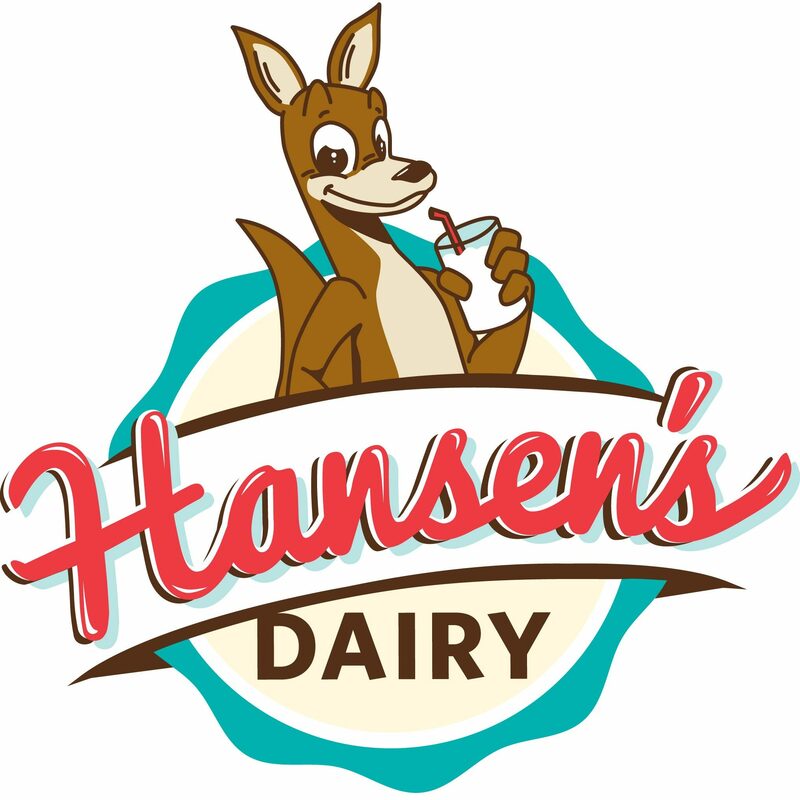 They are much more comfortable than during the summer, when the heat causes them stress and diminishes their milk production. You should see them kick up their heels in the barnyard when the first measurable snow arrives. Plus, they get those cute wooly winter coats. This 4-month-old heifer is starting to grow a heavy winter coat. But winter on the farm can be tough for us people. It takes a lot longer to trudge through snow and get the chores done. You’re always worried about water troughs freezing, equipment not starting, mountains of snow to plow and the electricity going out if there’s ice. The days are shorter, so list of things to do is shorter. But first we have to get through our winter readiness list. The first task is to complete the harvest. Before the snow flies, the corn silage flies. 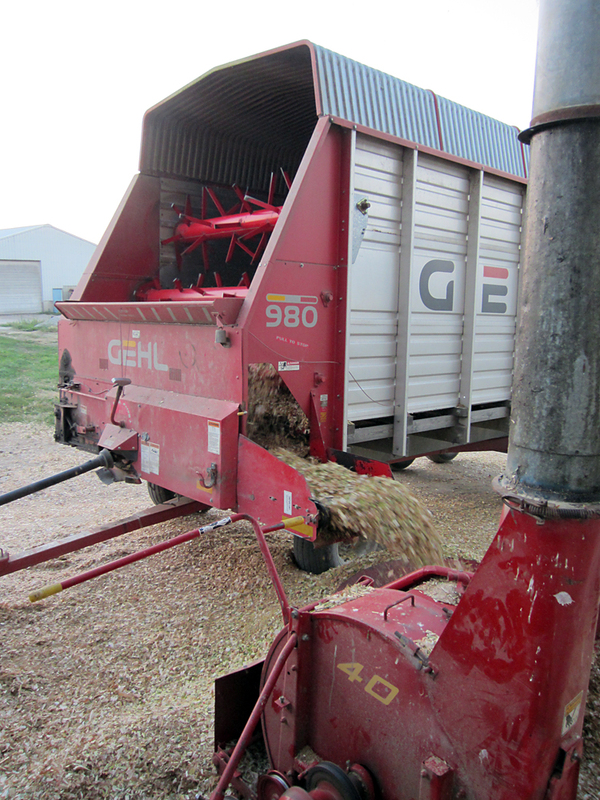 Corn silage is collected in a chopper wagon and blown up into the silo for long-term storage. 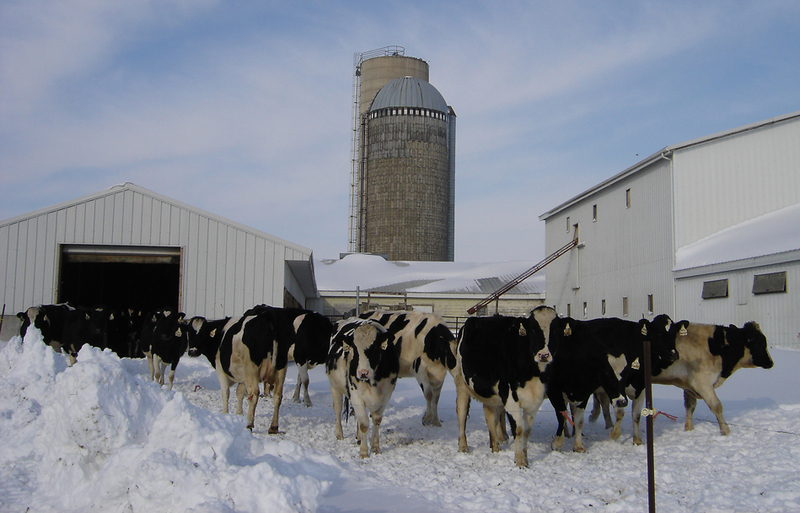 Corn silage, along with hay silage, makes up the basis of what the heifers and milking cows eat. Due to the drought, corn silage was harvested pretty early this year (early to mid-September). We fill plastic ag bags and the silos with enough corn silage to last us until next year at harvest time. 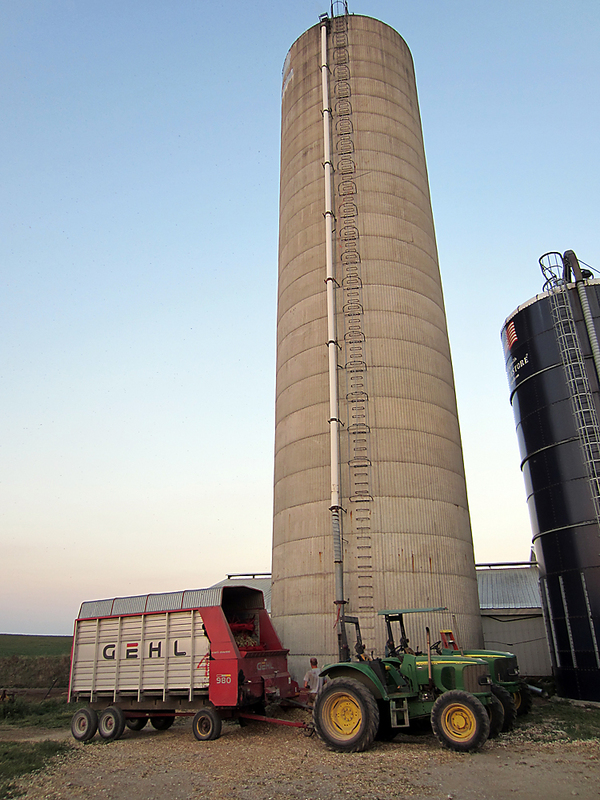 This silo is about 100 feet tall. Sometimes farmers have to climb to the top to clear out feed that has plugged the chute. 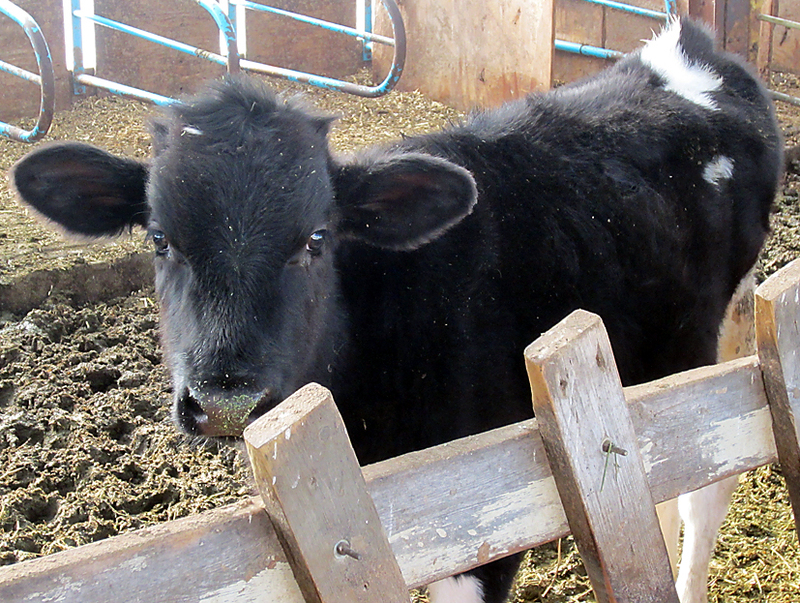 Each cow eats about 90 pounds of food a day, so that’s a lot of feed to store. We also chop leftover cornstalks from the shelled corn harvest to use for cow bedding. The next thing we do is empty the manure pit. We inject a million gallons of cow waste into our fields to serve as fertilizer. What goes around comes around! I’ll spare you pictures of that process. Suffice it to say, the farm smells pretty ripe during that time. Sorry, neighbors. 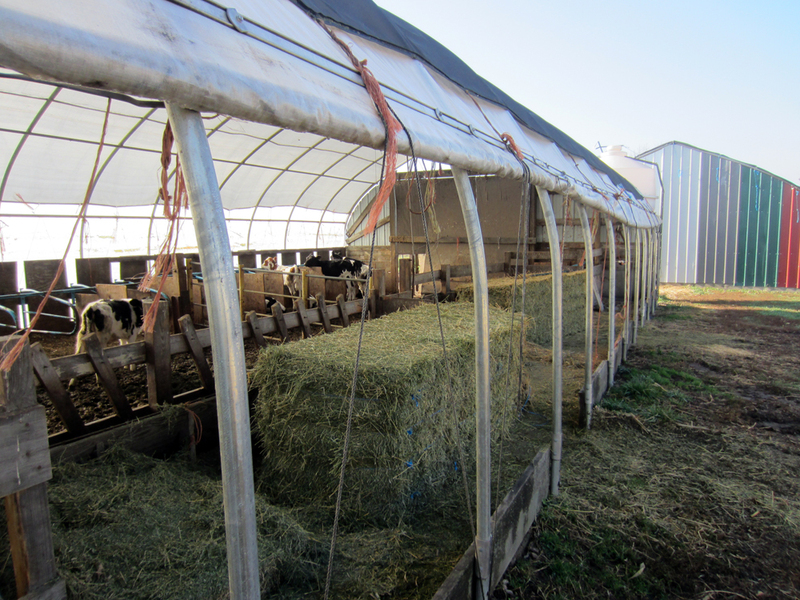 Next we put up plastic sheeting in the front and back of the calf huts to keep the babes warmer. 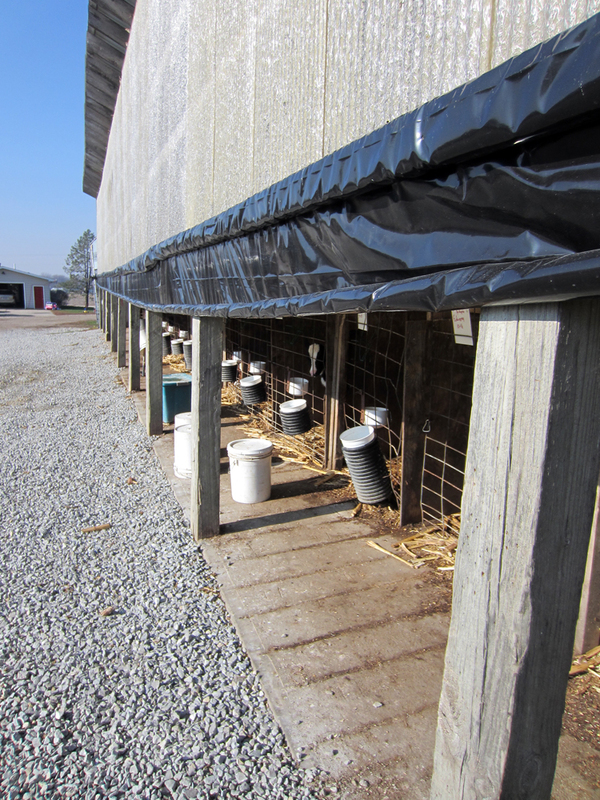 The plastic is rolled down to serve as a windbreak in the winter and rolled up again in the spring so they can feel the breeze. 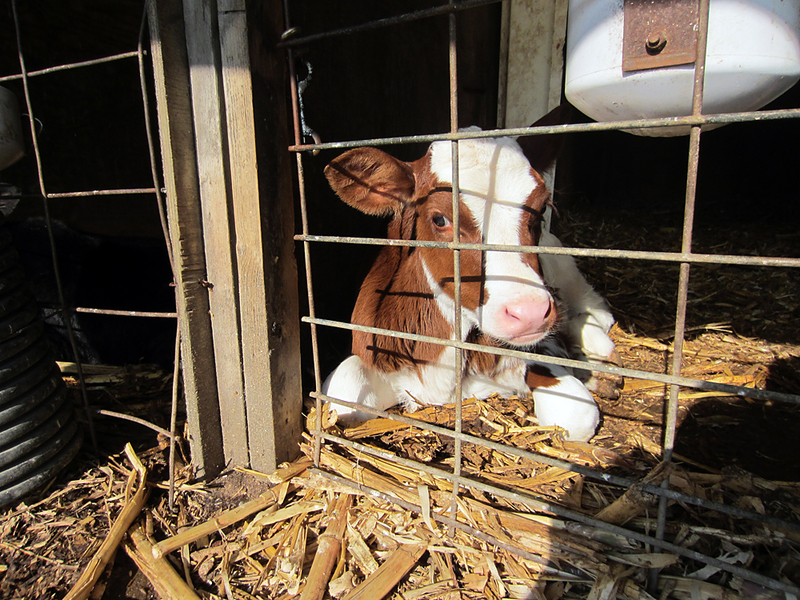 The same story happens in the greenhouses where the 2-month-old to 6-month-old calves live. The greenhouses absorb a lot of heat so it stays pretty toasty in there. Once it gets a bit colder, the baby calves also get extra cornstalk bedding in their huts, and Blake puts a shot of cream in their bottles of whole milk for extra fat and warmth. The calves aren’t worried about that today. This one is enjoying basking in the sun. And finally, a new project for this year. Blake and Michael are building a 100′ x 100′ pen to house some new animals that we’re going to have. Can you guess what we are getting? (Hint: It’s something we haven’t had before.) Leave your guesses below! 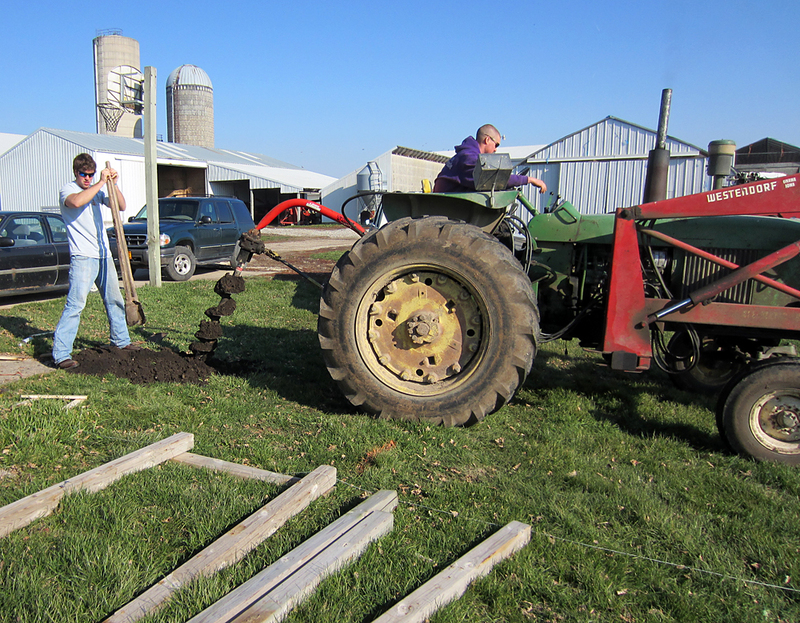 Michael and Blake are digging post holes for our new pen. The Whole Story: Are full-fat dairy products actually good for you?